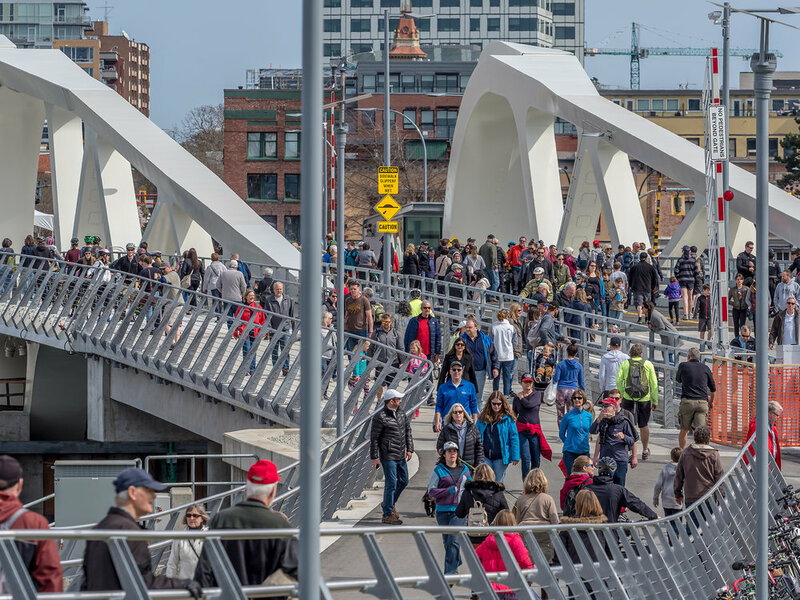 Opening of the new Johnson Street Bridge. Old and New, Opening of the new Johnson Street bridge. Four known bridges have spanned the narrows between the Inner Harbour and Upper Harbour of Victoria BC, connecting Johnson Street on the east shore with Esquimalt Road on the west shore. A low wagon bridge was completed in 1855, which blocked marine traffic. It was dismantled in 1862 and was replaced with a ferry service. In 1888, a hand-operated swing bridge of limited load capacity was built for rail and foot traffic only. The bridge was completed at a cost of $918,000 (27 per cent higher than the estimated cost of $720,000) and opened in January 1924. The bridge originally had street car rails running down the centre of the road span, but they were never used, and were removed a few years later. 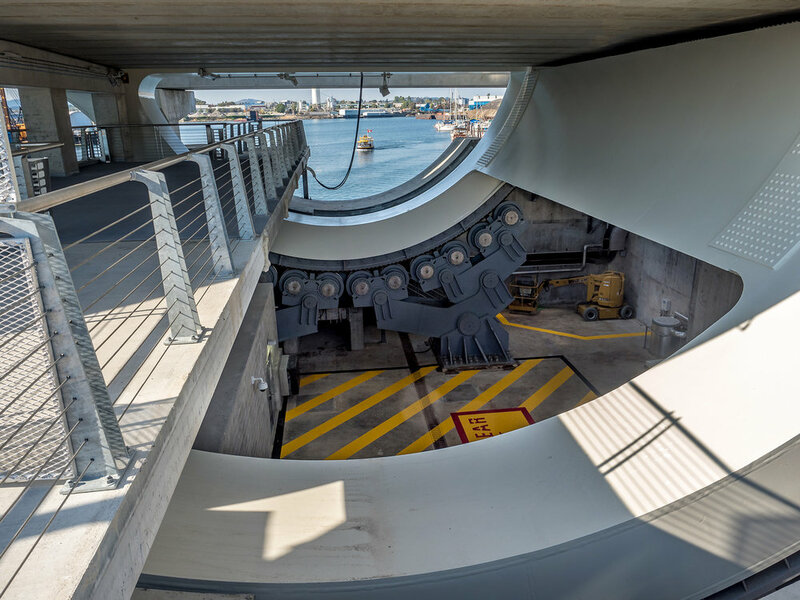 In 1966, the wood deck was replaced with steel grid, as rainwater absorbed by the deck unbalanced the bridge, straining the lifting gear. In 1979, extensive repairs were made to the superstructure, which had become severely corroded. Following these repairs, the bridge was painted blue. Most Victoria residents call it the Blue Bridge or Old Blue. In 1995, abnormally high temperatures caused the steel decking to expand to the point the bridge would not open or close properly. This necessitated the removal of about 25 mm (1 in) of the decking. On April 2, 2009, the preliminary results of an overall condition assessment of the Johnson Street Bridge were presented to Victoria City Council; Council gave approval-in-principle on April 23, 2009 to replace the 85-year-old Johnson Street Bridge. 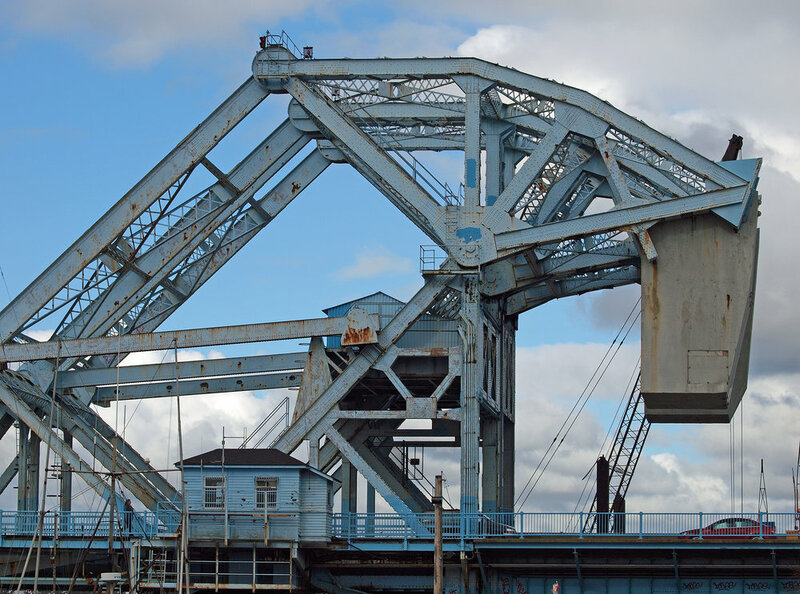 On September 24, 2009, City Council decided on the Rolling Bascule Bridge as the design for the new Johnson Street Bridge after reviewing public feedback, recommendations from the Citizens Advisory Committee and advice from a staff technical committee. On August 12th 2010, after lots of discussion Victoria city councillors voted to replace the Johnson Street Bridge, rather than refurbish the existing bridge. The new bridge was scheduled to be completed in 2015, at which time the old bridge will be removed. 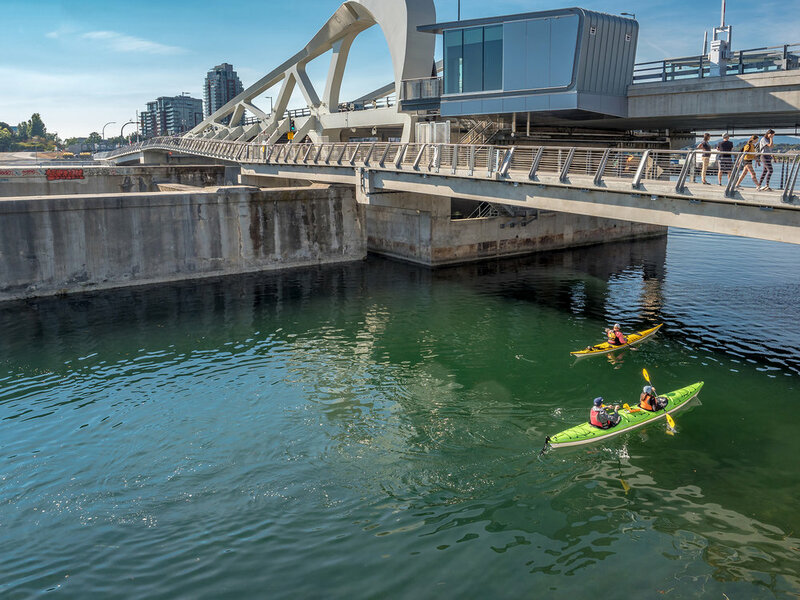 On March 31, 2018, the road span was closed to pedestrian traffic, after being closed to vehicular traffic two days earlier. 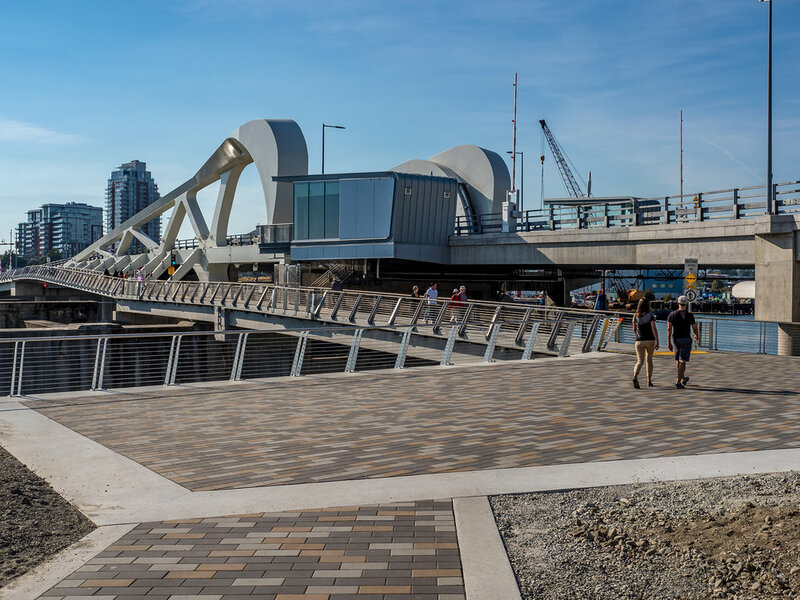 The closing/commissioning ceremony was attended by Victoria City Councillors, mayors from across the Capital Regional District, project managers and engineers for the new bridge, and members of the public. The road span and approaches were removed during spring 2018. 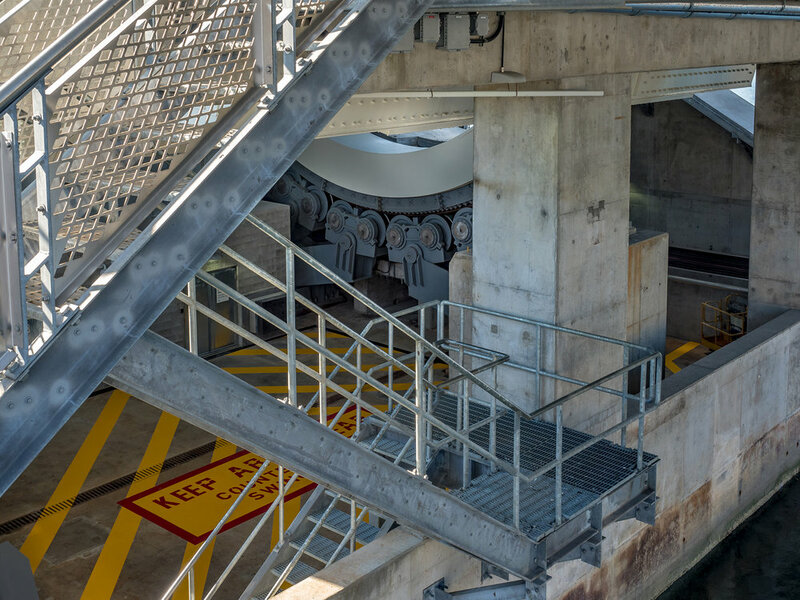 Construction of a rolling bascule bridge beside the third bridge with costs initially estimated at $63 million began in 2013, and opened to the public on March 31st, 2018, two years later than promised. As of December 31, 2017, actual costs of $105 million had been incurred. The bridge affords a three-lane roadway, a pedestrian walkway on the south side, and a multi-use pathway on the north side. Below are some shots of Old Blue. Below are some shots of the New Bridge which does not as yet have a nickname.